Fantastic opportunity to own a Lake Taneycomo Resort within minutes of Branson MO! Scenic Court resort has outstanding views of Lake Taneycomo for miles. 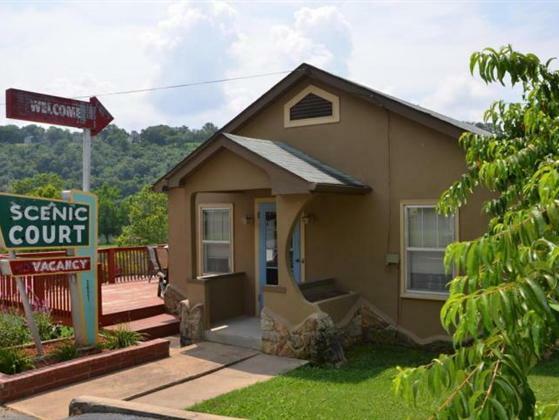 The quaint and well kept property has 3 units fully equipped with full kitchens, bathrooms, and furnished, all three have been recently painted and new carpet. Resort also boast an adorable main house with hardwood floors, living room with access to a large deck to relax on and enjoy the boaters and fisherman on Taneycomo, spacious bedroom and bathroom, full kitchen, laundry and much more. Property is well taken care of, turn key operation! Call today for your private showing.